Did you know that Pizza is a $30 Billion retail industry? The Teresa’s Pizza business model is premised on the fact that we provide the ‘Mom and pop’ feel of a neighborhood pizza shop with corporate backing and marketing support. With so many independent operators struggling for operational consistency, financial management help, and cost-effective procurement options, the opportunity to be a franchisee of a growing Pizza chain has never been better. Our requirements for a new franchisee are very simple. You have to have sufficient financial backing and you have to love great pizza! We can train all of the technical skills needed to be successful but we are particularly looking for great quality people to join our family. 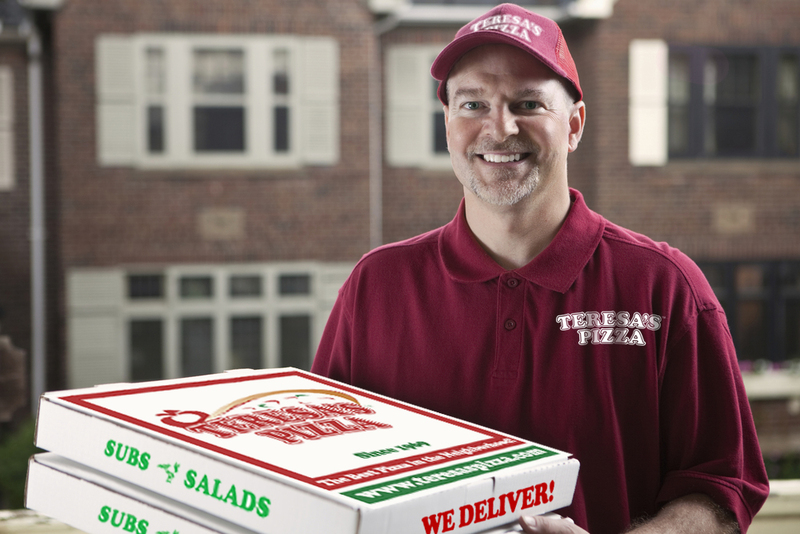 Teresa’s Pizza is actively looking for new franchisees around Northeastern Ohio and beyond – speak with our franchise development team today to learn about available markets near you! From time to time we have existing stores available as re-sale opportunities – contact us to learn more! Teresa’s Pizza offers existing pizza store operators special incentives to convert into Teresa’s Pizza franchises – contact us today to learn more!